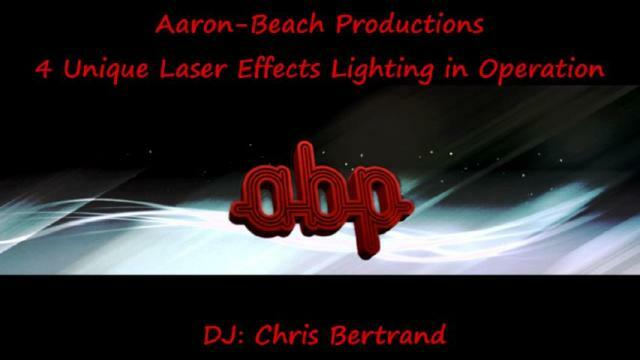 We offer laser effects that compliment our full lighting systems that illuminate the dance floor with amazing patterns. The lasers can be set to synchronize with the music or run in automatic modes. These lasers & effects are included at all events as part of our lighting system packages, please ensure your guests are comfortable with moving lights and lasers. Our lasers are 3 different colors between two modules, one modules projects red and blue laser patterns and the other red and green. Both units will react to music and are FDA approved to be used in the general public. The lasers will project out into the crowd and on the walls and ceilings with their wide beam patterns. If there is any concern, you may elect for use to not use them during your event by request.